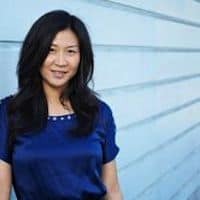 Joyce Kim(@Joyce) is the Executive Director of Stellar.org, a nonprofit organization focused on open financial access. With approximately 3 million accounts created since launching in July 2014, Stellar is a common payments platform that increases interoperability between diverse financial systems and currencies. Stellar.org’s board and advisors include founders and leaders from Stripe.com, Khosla Ventures, WordPress, YCombinator, AngelList and the Apache Software Foundation. Prior to Stellar, Joyce was a VC at Freestyle Capital as well as an entrepreneur. She was also a corporate and M&A attorney and pro bono at Sanctuary for Families representing immigrant women who were victims of domestic violence and the Innocence Project working on DNA exonerations. Joyce graduated from Cornell University at the age of 19, followed by graduate school at both Harvard and Columbia Law School. She serves as a Director’s Fellow at the MIT Media Lab. Only 37 percent of women In the developing world have bank accounts, yet research has shown that poor women are inherent savers. Stellar has created an open source payments platform that’s being used to provide a mobile wallet in South Africa focused on promoting savings among girls. The wallet has a unique feature: along with cash deposits, it lets users deposit mobile airtime, and withdraw it later as cash.